Buying Stove Hearths Can Be Confusing? Here's What You Need To Know? Buying Stove Hearths Can Be Confusing? Here’s What You Need To Know? May 25, 2018in NewsNo CommentsBuying Stove Hearths Can Be Confusing? Here’s What You Need To Know? A hearth pad or simply stove hearth is an important accessory that serves as a protective barrier between the base of a stove and sub-floor. You may have the best wood stove in your neighborhood, but have you given some thought to the embers or oil that may spurt on your premium hardwood floors and the considerable damage they can cause to them? This is where hearths for stoves prove handy, because they absorb the intense heat from the stove and consequently prevent damage to the immediate flooring underneath. However, in order to buy the best hearth, it is important to take note of a few regulations, some easier to adhere to than others. Hearth regulations are more relaxed if you have a freestanding stove that does not go into the recess under the chimney, and does not generate more than 100 degrees centigrade of heat at its bottom surface. This is because you do not need a full thickness constructional hearth if your stove meets the aforementioned criteria. Contrarily, you will need a constructional hearth mostly in the event that your entire floor is made from concrete, which in essence serves as a constructional hearth if it meets a set of hearth guidelines for this type of hearths. Some of these guidelines ask that the constructional hearth be wider than the recess by at least 150mm and protrude to at least 500mm into the room. Fireplace hearths can be had in a plethora of finishes, making it easy to get one or many that blend in well with the overall décor in your home. In terms of size, 12mm thick glass hearths are the standard in this space, and offer the right level of protection from falling embers. Before glass hearths were conceived and you had wooden flooring, you would have to go though the daunting task of cutting the floor underneath, ensure the base meets the 225mm constructional hearth regulation, then set piece of slate or granite in the slot and place the stove over top. 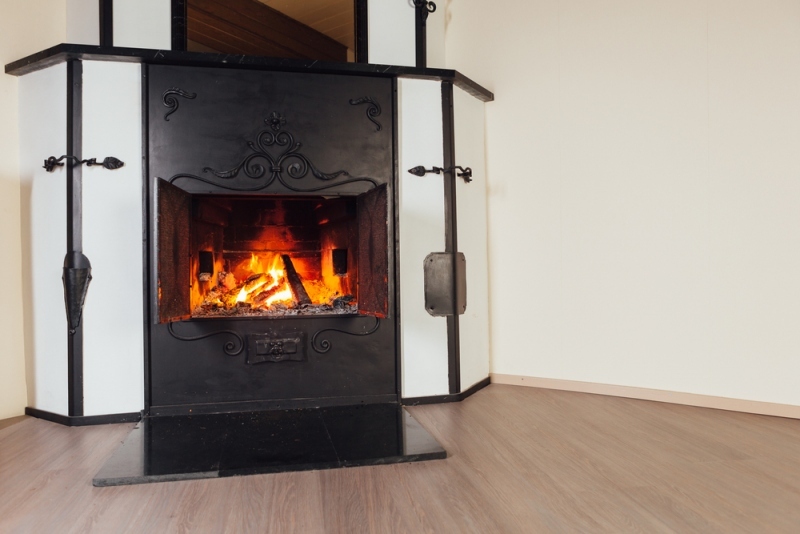 Today, you can leave your wooden floor as is by simply placing a glass hearth and your stove on top of it. Most if not all glass hearths are crafted from toughened glass to allow them to withstand temperatures as high as 100°C. One of the common questions that crops up among consumers is whether a hearth pad can be installed directly over a carpeted area. This answer again depends on the type of stove you have, because some get very hot underneath and as a result may cause damage to the hearth and eventually the carpet underneath. You also need to consider the weight of the stove, because models that weigh more that 450 lbs may be a little too heavy for the hearth to handle, and could cause the carpet to compress. All in all, if you are looking for a great way to set your stove without making your floors cry, glass hearths are worth a second look.